The steel sheets of Hirnböck Stabau consist of high-quality steel and are available in thickness from 5 mm to 50 mm. 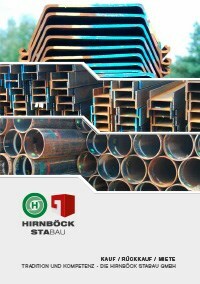 Steel sheets and other steel products from Hirnböck Stabau can also be purchased used. You'd like to rent or buy steel sheets? Best contact us today!